Why become a data scientist? From time to time, I get this question from people who are flirting with the idea of becoming a data professional. Since you are reading this blog, I assume that you might have a few answers in your mind already. 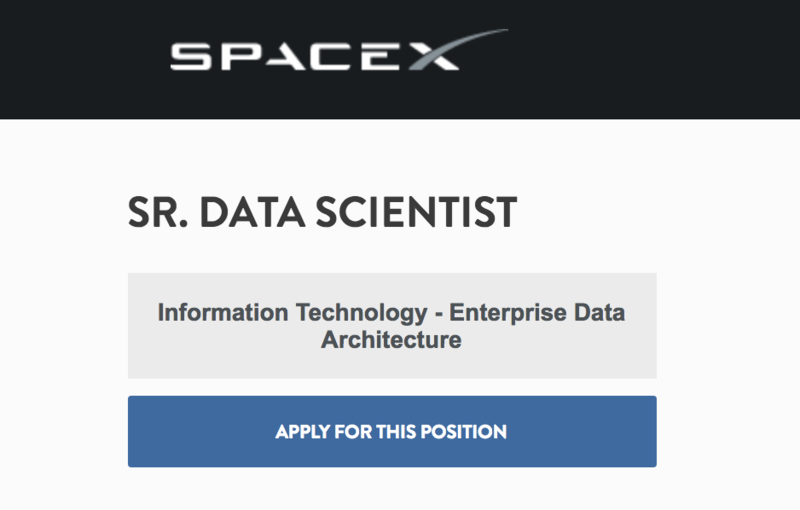 Maybe you’ve heard that according to Glassdoor, data scientist has been chosen the best job in America, three years in a row. I discussed the question with my practicing data professional friends and tried to collect more concrete reasons. 1. You will feel smarter. I think the first time I fell in love with data analysis and data science was during my very first job. It was an internship position at Prezi, around 6 years ago. I was assigned to a small team and my manager was (luckily) a very data-minded person. So every time he was about to make an important business decision, he came to me and asked if I could run the numbers for him. The feeling that I was able to deliver these analyses was great. But it was even better that every time I conducted an analysis, until I presented my findings, I was the only one who knew what I had found. See, I was the intern and I knew something about the product that the senior developers didn’t know, the researchers didn’t know, even the CEO didn’t know. And even though these were really just minor things at the time, I think every data scientist enjoys this part of the job very much: being the first one to know about a secret that you’ve discovered – and that you can tell to everyone. 2. You will be smarter. Okay, feeling smart is a good thing. Is it useful? More like pleasant. But don’t you worry! By learning and practicing data science, you will actually become smarter. A simple example: you will learn about all the important statistical bias types that most people have never even heard about. If you do so, you will be less likely to let your brain trick you, you won’t be scammed by the media, you will be more aware in real emergency situations… So just in general, your analytical thinking will help you to see a bit clearer in the chaos of our world. 3. You will work on useful things. Data science is mostly about researching human behaviour. Doesn’t matter if you are working on understanding the user experience of online users or creating a chatbot or predicting stock prices… If you think about it, it all comes down to one thing: how humans act. I think researching and understanding how we as individuals and as a society work is one of the most important projects of the 21st century. As a data scientist, you can take part in that. Note: of course, you can always find yourself in pointless, stupid or even in harmful data projects. But I’m pretty sure that your moral compass will guide you in the right direction. 4. You will make good money. A data scientist with 1-3 years experience makes an average of ~$106.000 per year in the US. That’s nothing to sneeze at. I don’t know about all the countries in the world, but in the ones that I know of, it’s the same: in almost all the European countries a data scientist with 1-3 years experience makes 2-3 times more money than the local average salary. Money is not everything, I know… But I think it’s always good if you don’t have to worry about it and you can focus on more exciting things. As a practicing data scientist, you won’t have money problems for sure. 5. With a few years of experience, it will be really easy to find a job. Data Science is booming. As of 2018, companies are desperately looking for smart data scientists. This, of course, can and will change in the future, but looking at the quality of the current formal education in regards to data science, I doubt that this change will happen sooner than in 5-10 years. So if you learn data science now, then for the next decade, you will have a profession that’s in great demand. I’ve sat on both sides of the table during hiring processes, and I can tell you, 1 or 2 years of real-life experience supplemented with the right skills (mostly strong statistical and business thinking and knowing SQL and/or Python) will make your CV very, very competitive. Note: getting your very first data scientist job might be a bit trickier, but I have covered this topic in another article here: How to get your first job in Data Science. 6. You can see various things. Another thing that I love in data science is that you can try out different domains. As for me, I really like the online world, and I was lucky enough to work with startups, e-commerce businesses and a fin-tech company, too. After 6 years, I have a fairly broad perspective about online businesses and this is because I had a chance to look at it from different angles. Some of my data scientist friends prefer production companies and they know everything about cars, electronics and other geeky stuff. Others are more into biology, traffic optimization or renewable energies, so they exploit their data knowledge in those fields. There is a lot of “horizontal mobility” in data science and that’s cool. 7. You will be able to create your own products. For practicing data science, you have to learn coding. And if you learn coding, (especially if you learn Python) as a bonus, you will also be able to build your own products – or at least the prototypes. I remember, my first “brilliant” startup idea was to create a website that compares news from the big news portals (like BBC, ABC or CNN) and can tell which one is the most credible. That was my first self-built prototype of my first own product idea. And even though nobody really ever checked my credible-news selection, it felt great that I had built it by myself. You can spend all your time between screens full of these charts, data sets and code! Isn’t it awesome? I hope my 7+1 reasons helped you to see the bright side of being a data scientist. Next time, I’ll write about how to decide if it is the best fit for you or not. UPDATE: here’s the new article: Is Data Science for you? good point, R is just as popular as SQL or Python. Adding.. my view on Data Science is Prediction (from data analysis result). This might be the main reason that drew my attention and intention to get to know it better. I think it depends A LOT on the field you are working in. For instance, I work at a national statistical institute and, while R is quite common in this field, literally nobody uses python. Anyway, great post Tomi! I definitely agree that it’s very beneficial for a career to learn some data science skills. Yepp! To bring some DATA 😉 into the conversation – check a simple google search trend. Most researches say it’s 50-50 – although Python is more popular in business world, while R is more popular in academics world. Hi, great motivational post right to the point at least AFAIC! I’ll keep reading more stuff here.